This is the retelling of the most exciting story in all of human history. Something truly remarkable occurred when Jesus Christ rose from the dead and gave His disciples a great commission. The world would never be the same again. 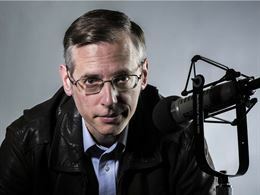 Kevin Swanson takes the reader through the 2,000 year worldwide saga of this epochal mission to the world. From Judea to Rome, Ireland, Denmark, China, Japan, Uganda, New Zealand, and to the uttermost parts of the earth, the light of Christ shines into the darkness, transforming every nation throughout the centuries.